Now is your chance to get your hands on 2014’s Best Smartphone! Smart now offers the LG G3 at All-in Plan 1800! 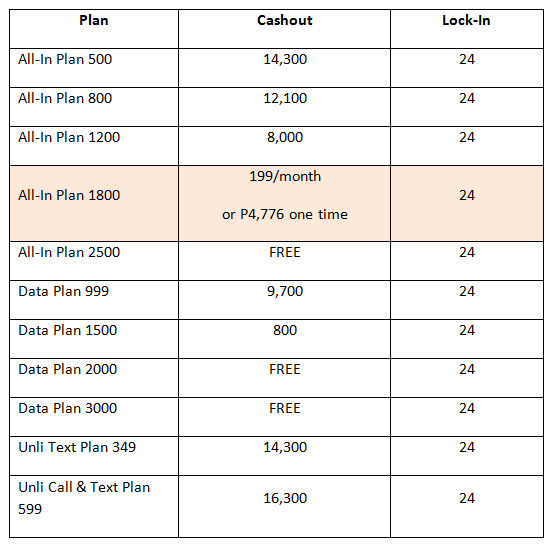 For Php1800 a month with either a Php199 monthly cashout via credit card or a Php4776 one-time payment, you can get 5GB of mobile surfing data as well as 3,500 texts and 80 minutes worth of calls to Smart, Globe, and Sun for 30 days — and you can experience all these in your very own LG G3. Hailed as one of the most awesome phones released this year, the LG G3 runs on 2.5GHz Qualcomm MSM8975AC quad-core Snapdragon 801 processor backed up with 2/3GB of RAM. It boasts of a beautiful 5.5-inch quad-HD 1440×2560 pixel display protected by scratch-resistant Corning Gorilla Glass 3. This LTE phone has a 13MP rear camera with optical image stabilization and laser auto-focus detection with dual led flash, and a respectable 5MP front camera. While other phones of similar caliber do not support external storage, the LG G3 does, with a 16/32GB internal memory that’s expandable to 128GB via micro SD. For more information, visit this link http://smrt.ph/lg-g3, and for an in-depth look of the LG G3, check out The LG G3 Review: One of the Top Contenders for Best Smartphone of 2014.